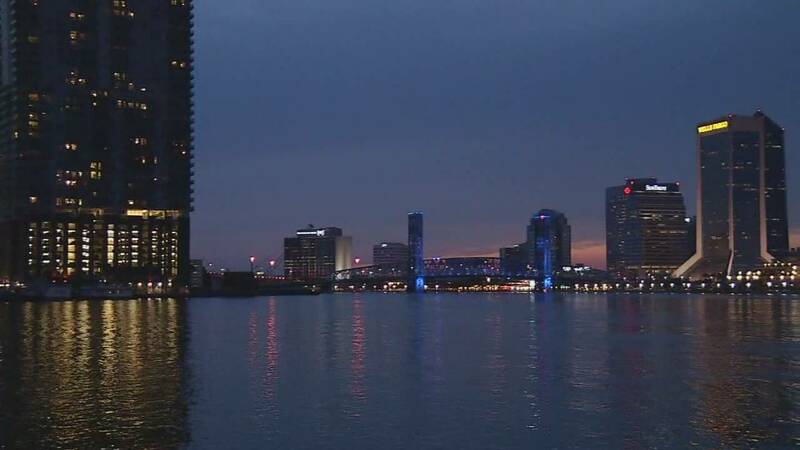 JACKSONVILLE, Fla. - Jacksonville had the biggest population gain of any Florida city last year and now is the nation's 12th most populous city, according to the U.S. Census Bureau. The city gained more than 9,000 residents last year, bringing the total number of residents to more than 853,000. This makes Jacksonville the most populated city in the state, although metropolitan areas like Miami, Tampa-St. Petersburg and Orlando rank higher with all the suburbs factored in. "Here at our visitors center, where we take calls for people wanting to visit, we also take calls from people looking to relocate," said Patty Jimenez, Visit Jacksonville's communications manager. "We're a city of festivals, [and] we're a city of history. You can walk around and learn as you're visiting the city. We are a city of many, many different people coming together, and I think it shows, and it's something active people can do." The true role of Visit Jacksonville is to sell tourism, not relocation, but the vast amount of tourists seem to be interested in changing their residency. "[Last year] was the best year ever in Jacksonville for visitation," Jimenez said. "So far in 2015, we've had higher numbers than we had last year. We had 18 straight months of visitation upticks, so it's going great." The cost of living seems to be a factor in attracting people to Jacksonville, along with the history, parks, festivals, food, beer, and the beaches. One of those indicators comes from hotels, where Jacksonville has the lowest rates in the state. Comparing entire metropolitan areas, South Florida is the state's most populous metro with 5.5 million residents. Jacksonville is Florida's fourth-most populous metro area. Of Florida's 200 largest cities, Doral in South Florida had the largest percentage increase last year. It grew by 7 percent to more than 54,000 residents. North Miami lost 110 residents, the biggest drop of any Florida city.